Learn how to design a flow line or cell and how to overcome potential obstacles once implementing the tools & techniques. 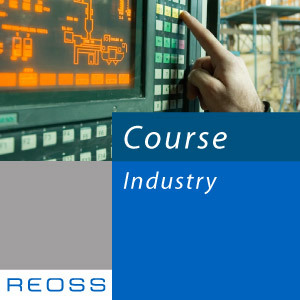 The advanced course for Lean Manufacturing teaches the tools & techniques indispensable for the implementation and the management of a demand driven production environment producing multiple models. The course is focused on the design of advanced flow lines, process mapping, time indexation, value added time analysis and the design of dual-card Kanban systems. Other subjects covered are the sequencing of production when producing multiple models, producing on demand, Production and flow line balancing, the use of flexible employees and the organization and daily management of a flow line. The participants learn how to design a flow line or cell and how to overcome potential obstacles once implementing the tools & techniques. Provide to the participants the necessary tools and techniques for the effective implementation of a mixed-model flow line. Learn the different methods to balance lines and eliminate bottlenecks. Learn how the manage flow lines driven by customer demand. Learn how to daily organise and manage flow lines. Part 1 : Summary of the first Lean &amp; Flow Manufacturing tools &amp; techniques presented in the Base Workshop. After this course each participant will be able to develop a mixed-model flow line, manage this new flow line and provide his company the means to increase profitability by using this new way of producing. Part 1 : Summary of the first Lean & Flow Manufacturing tools & techniques presented in the Base Workshop. After this workshop each participant will be able to develop a mixed-model flow line, manage this new flow line and provide his company the means to increase profitability by using this new way of producing. The participants being placed in a real life situation ! The workshop format has a functional approach, supported by a practical workshop unique of its kind. The participants, placed in real life situation in our model factory, have to develop the necessary tools and line design calculations at each stage for the development of the flow line using information tools being provided by REOSS resulting in the demand driven production of multiple models.